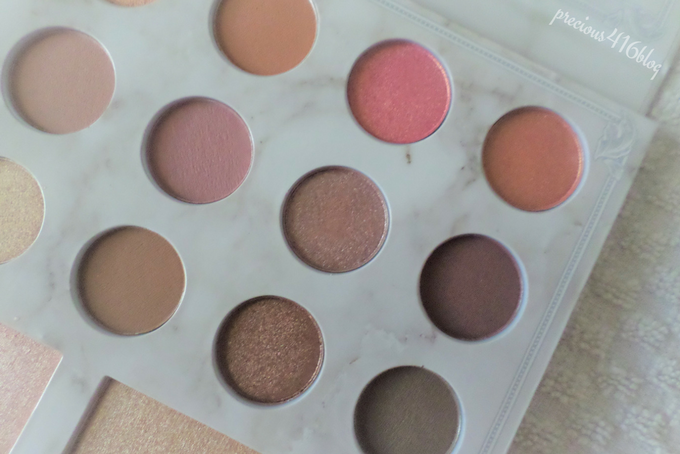 The Carli Bybel X BH Cosmetics Deluxe Edition Palette is a 21 Color eye shadow and highlighter palette that features 11 original shades and 10 new shades. 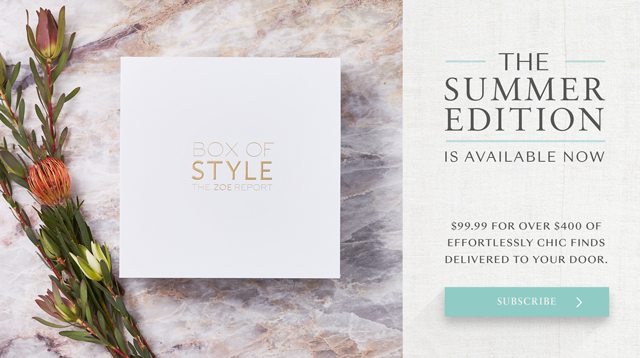 The Deluxe Edition is the newest palette that replaced the original Carli Bybel Palette that released about 2 years ago. 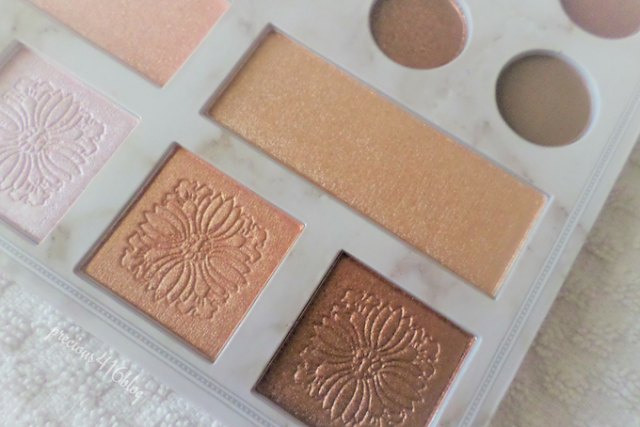 I own the original Carli Bybel Palette and I think it is absolutely one of the prettiest affordable palettes I own, but when I saw that the new Deluxe Edition was going to be released I knew I had to have it. The swatches that Carli shared were really impressive, and the fact that the price of the palette was less than $20 (when first released) was another reason I wanted it. Anyone it doesn't matter your background if you have a lot of money to spend or not can get their hands on this gorgeous palette. Let's talk packaging: I think that the new Carli Bybel Deluxe Edition Palette is just as beautiful as her first palette that features a quilted cushion design, with a feminine rose gold font (my fave shade ever) instead of the original silver. On the inside it has a realistic looking marble design, and also includes a huge mirror. Eye Shadows: The eye shadows included range from creamy mattes, shimmers, and metallic finishes. There are 7 new eye shadows and 8 original. The new eye shadows are on the top, 4th shade on the second row, and 3rd shade on the bottom row. They are all gorgeous colors. 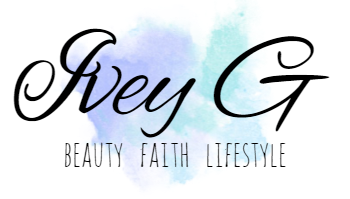 I really love that you can create a pretty soft and feminine look, as well as a very glam, or smoky eye look. The shades are all pigmented, creamy, and smooth. 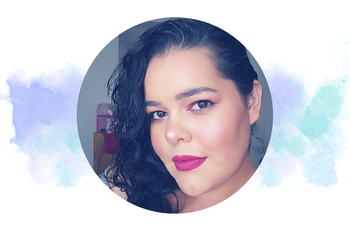 Once you apply them on your lids with a brush there is some fall out, and I find that they work best with an eye shadow primer, or some concealer. I tried the eye shadows without a primer and they creased since I have hooded lids that happens to me (almost) all the time regardless of what brand of shadows I use. I love that they are long-lasting and easy to blend. 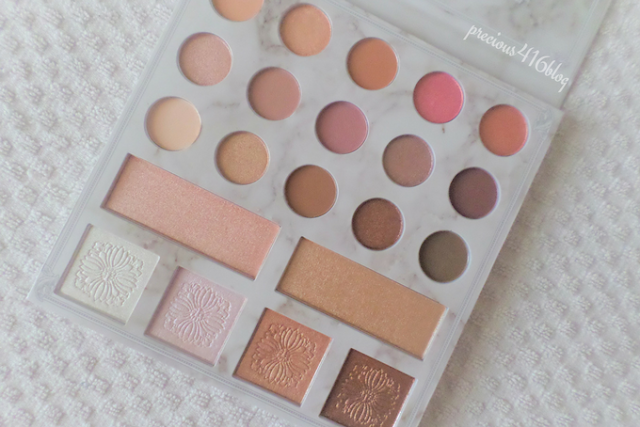 Sometimes when a shadow is too pigmented it can be hard to blend, but not with this palette. The shadows blend beautifully! I'm so impressed by the metallic shades they are so creamy, and once you apply them they almost look like you wet your brush to intensify the color. I find that they apply best by using your fingers. 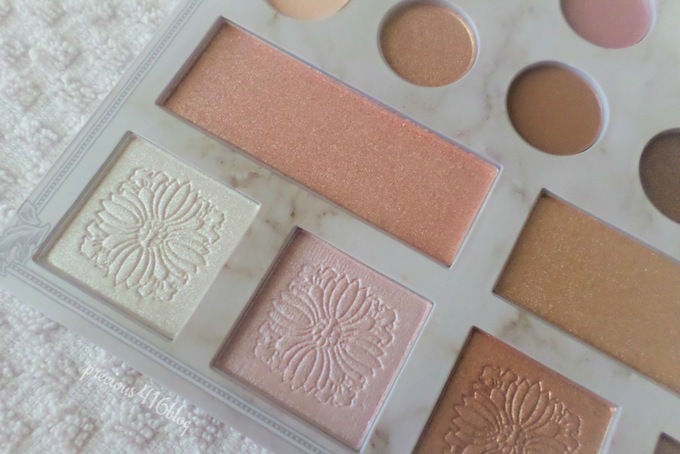 Highlighters: Omg, the highlighters in the Carli Bybel Deluxe Edition Palette are amazing! I think they are better in quality than the ones in the original. There are 6 highlighters, 3 of them are new. The rectangular highlighter on the top right, and the 2 on the bottom left are all brand new and so beautiful. You can create a subtle glow, or intense/blinding glow by building up the color. You can also have fun by mixing multiple shades to create your own unique highlighter shade. 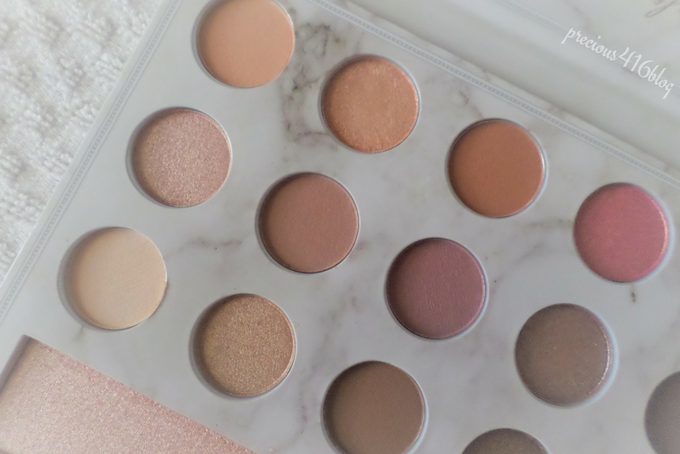 Plus I love that you can also use the highlighters as eye shadows so it's the perfect multi-tasking palette. 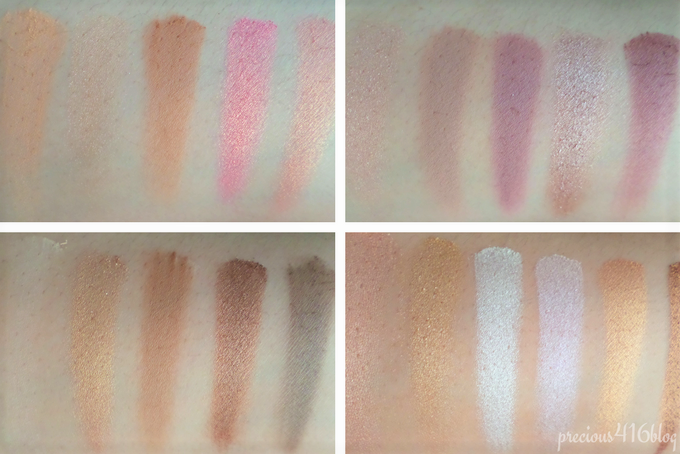 Each highlighter shade is so pigmented, and just like the shadows creamy non-chalky. 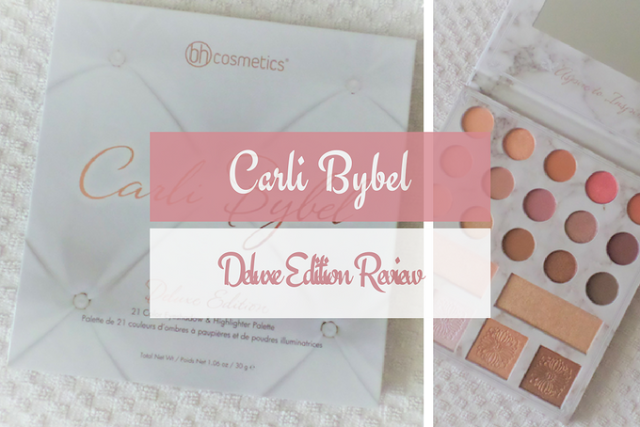 Final thoughts: Overall, I'm loving the Carli Bybel Deluxe Edition 21 Color Eye Shadow and Highlighter Palette. I love the pigmentation, blend ability, and the price. Another great thing about the Carli Bybel Palette is that it's vegan, cruelty-free, gluten free, and allergy tested. 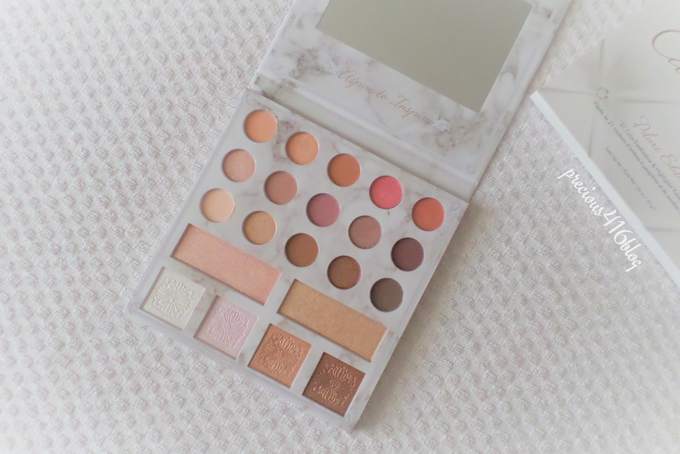 This palette is absolutely beautiful and I recommend that if you didn't get a chance to purchase the original that you don't miss out on getting this one. 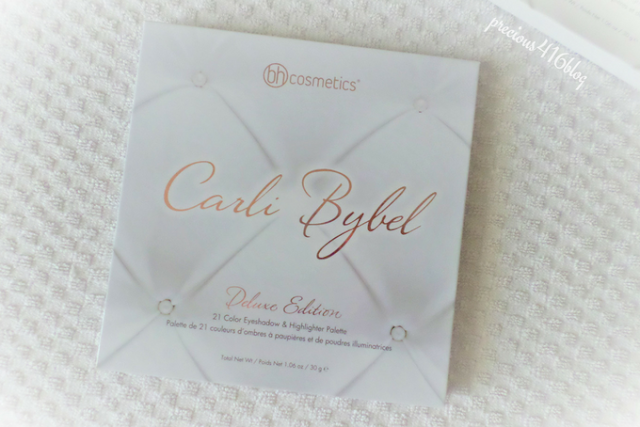 Question: What do you think of the Carli Bybel Deluxe Edition Palette?